Make our handy wrist pincushions mostly 'in the hoop'. 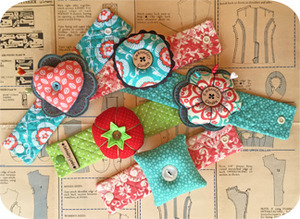 Our Wrist Pincushions make great gifts for all your sewing & crafting friends. The set includes heart, flower, round and square shaped pincushions. 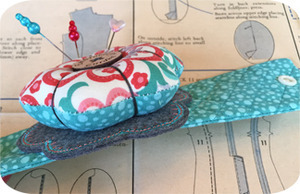 Files are included for making a round pincushion with purchased rickrack for a fun look. 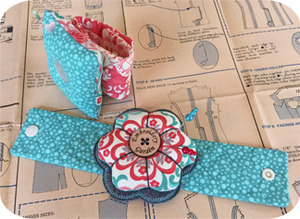 The cute 'petal' file is included to add to any of the pincushions. 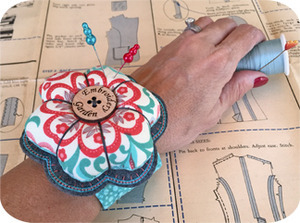 We've also included something that keeps the pins from going through the pincushion into your wrist. 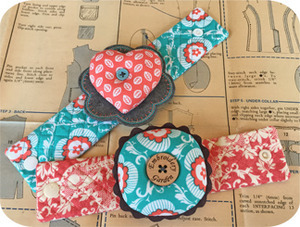 The 5x7 straps are made in the hoop in 2 pieces and have to be machine stitched together. 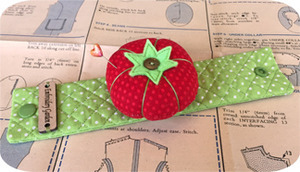 You have to hand stitch the pincushion to the strap to complete.